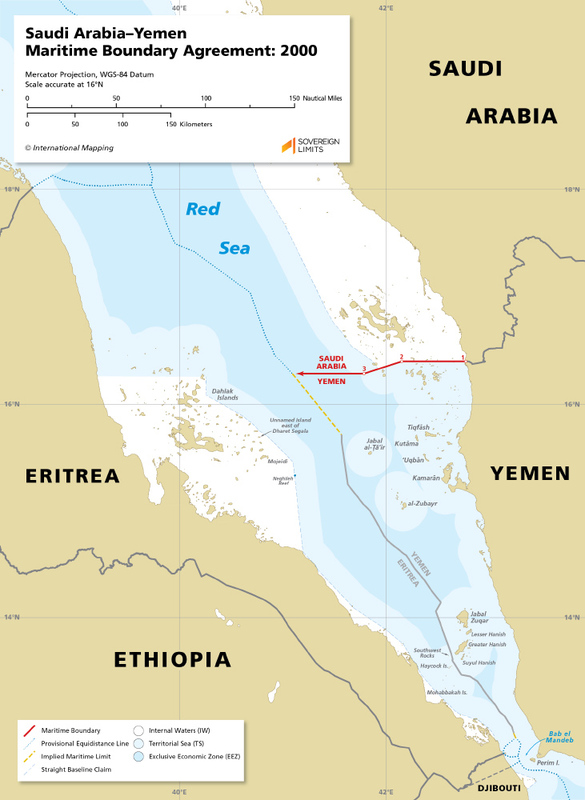 The maritime boundary between Saudi Arabia and Yemen was established through a bilateral agreement that was signed on 12 June 2000 and entered into force on 4 July 2000. The boundary, which spans less than 100 nautical miles (M), is composed of three segments and has no defined terminal point. The tripoint with Eritrea has yet to be determined.